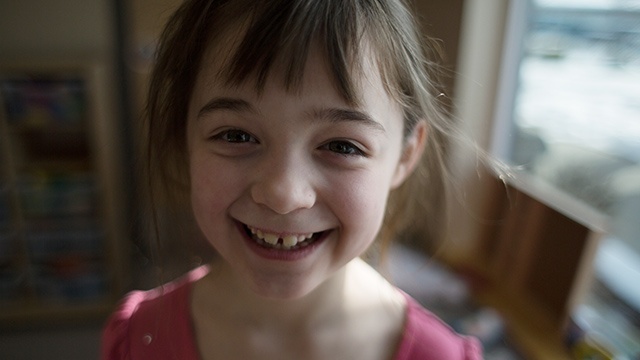 The UGM Crisis Shelter for Women and Children celebrated its 10th anniversary in January. 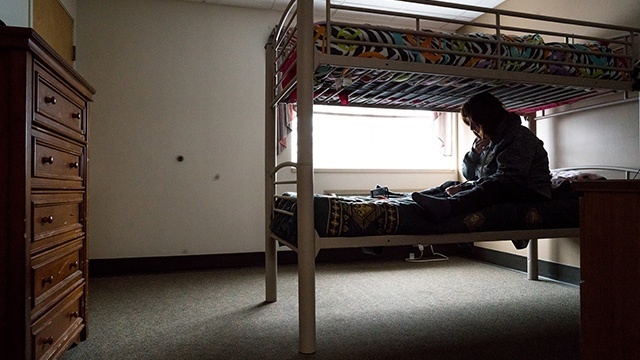 While the surroundings have changed dramatically in the last few months, the heart is still the same: The UGM Crisis Shelter exists to welcome the hurting and broken and connect them with the resources necessary to get back on their feet. Here are 10 things we thought you’d want to know about this place where hope begins for hundreds, perhaps thousands, of women. 1. We’ve moved. 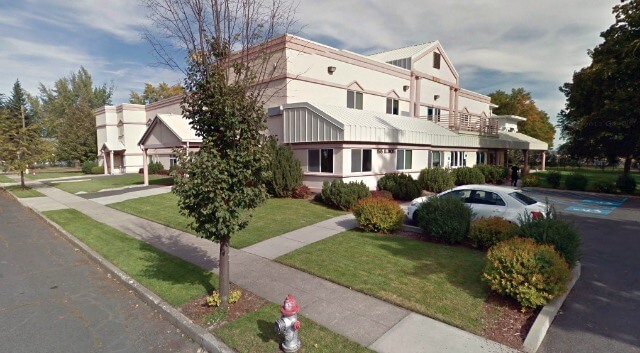 In case you somehow missed all the shouts of joy and dancing in the streets, the UGM Crisis Shelter for Women & Children has moved from the remodeled Budget Saver Motel on East Sprague where it opened in January 2007 to the former St. Mark Senior Living Center at 1515 E Illinois. The new location has more than double the square footage of the previous location, allowing each mom and her children to have their own room. Four singles will share a room; six to nine women had been living in one motel-size room at the former location. The new facility also has a chapel, a commercial kitchen, a large dining room and a medical clinic – features lacking at the old shelter. 2. Clean and sober. Like all of UGM’s shelters, the Crisis Shelter is a clean and sober environment. Women who show up under the influence of drugs or alcohol will be referred to a detox center. Spokane has several, some of which will actually send a taxi to pick up the person in need. Women with a history of addiction are encouraged to pursue recovery – either at one of UGM’s long-term residential programs or another treatment facility. long-term housing. Most women and children stay for less than 90 days. Every two weeks, a guest’s situation is re-assessed to determine whether she is doing the work necessary to improve her situation. If a woman has reached 90 days but has been actively pursuing housing and work, her stay may be extended on a case-by-case basis. 4. Forward movement required. Each guest goes through an intake process which begins to explore the reasons for her homelessness. She is then assigned a case manager who will assist her in a further exploration of her circumstances and the creation of an action plan. Each person’s situation is unique and all factors need to be considered. Does she have children? Does she have medical insurance? Does she have mental health struggles or a physical disability? Is she on medications and does she have the means to keep them refilled? Does she have her high school diploma or GED? Does she have a criminal record? Is she involved with Child Protective Services? Once those questions are answered and a plan is created, the resident will meet with her case manager on a regular basis to go over her progress. 5. Collaboration. The complexity of our guests’ situations requires the collaboration of multiple organizations. UGM provides meals and safe shelter, as well as case management, so that our guests can access the variety of community resources available. Fulcrum Institute of Spokane specifically helps residents dealing with felony records. Frontier Behavioral Health has a variety of programs for those struggling with mental illness. Catholic Charities does Homeless Family Assessments and assists women in finding transitional and permanent housing. The Division of Vocational Rehabilitation has retraining programs for women with physical disabilities. The HEART program provides transportation and other help to homeless children, seeking to normalize their lives as much as possible. The list of resources is extensive, but it’s difficult for someone who is homeless to be aware of them all, let alone access them. That’s where case managers come in; the woman does the work, but her case manager provides direction and support. 6. Employment Ready Program – After a woman has been at the Crisis Shelter for four to six weeks, she may be eligible for the Employment Ready Program. This program is all about helping women address hurdles to getting a job. Volunteers teach them how to use a computer to do job searches, create resumes and submit applications. Classes cover how to present oneself for an interview and how to keep a job once you find one. Shared responsibilities around the shelter also help to teach accountability and work ethic. 7. Demand is growing. You’ve heard us say it before: Women and children are the fastest-growing segment of the homeless population. Accommodating the growing number of children presents significant challenges, but that’s where the greatest need lies. According to a new report from the National Center on Family Homelessness, one in 30 American children was homeless at some point last year. That’s almost 2.5 million, an 8% increase over the year before. Just over half are younger than 6. In Spokane County, a study by Eastern Washington University reported 3,000 homeless children in grades K-12. The new shelter is equipped with child care space and an outdoor playground. Volunteers are needed to help with child care so that moms can meet with case managers and do job searches with undivided attention. While staff at the new shelter have no desire to turn anyone away, they also do not wish to return to the overcrowding conditions of the old shelter. Balance, prayer and collaborating with other shelters will be a top priority. 8. Top Needs. As you can imagine, any house with 85 to 100 women and children has an endless list of needed supplies: large diapers, PJs, sweat pants, twin-size blankets, lip balm, feminine hygiene products, razors, cotton balls, toothbrushes and toothpaste, shampoo and conditioner are always in high demand. If you’re interested in donating or holding a drive, see this complete list of our donation needs. 9. Volunteer. Volunteers enrich the shelter community immeasurably – providing so much more than we could do alone. Volunteers are currently providing medical care, meal preparation, job training, money management, counseling, case management, child care and chapel services. If you’re interested in getting involved in hands-on, meaningful ministry, please sign up for a volunteer orientation. 10. Funding. While we’ve moved into the building, it’s not quite paid for. If you’re interested in helping to fund this welcoming home for women and children in crisis, click on the link below or contact Development Director Wil Wilhelm (509.535.8510 or wil.wilhelm@uniongospelmission.org).